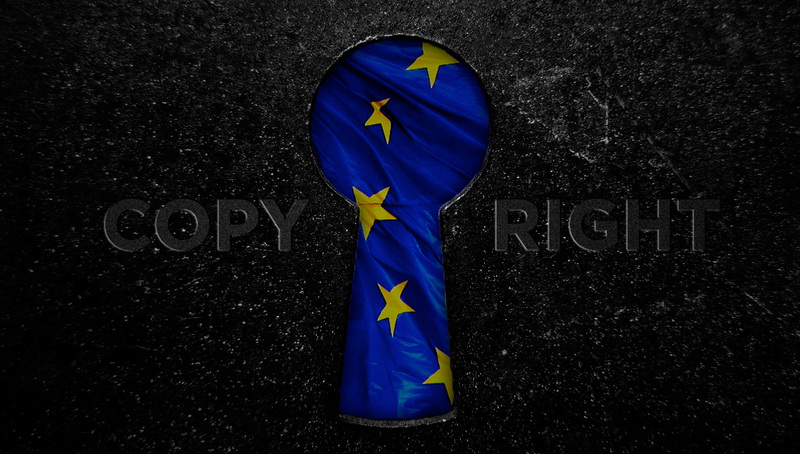 Today, the first “Trilogue” meeting is held on the EU copyright reform law infamous for its “link tax” and upload filter provisions. In this series of closed-door meetings, the European Parliament and the Council (representing the member state governments) hammer out a final text acceptable to both institutions. It’s the last chance to make changes before the Directive gets adopted. Meetings are currently scheduled until Christmas, although whether the process will be concluded by then is up in the air. In light of the massive public attention, I’ve decided to provide some transparency to this normally opaque process. Encouraged by a recent ECJ decision that the Parliament can no longer generally deny the public access to trilogue documents, I will be publishing the negotiating documents on my website. These so-called “four column documents” lay out the positions of the Commission, Council and Parliament, as well as the possible compromises being debated. Both would lead to upload filters – one explicitly, the other implicitly. 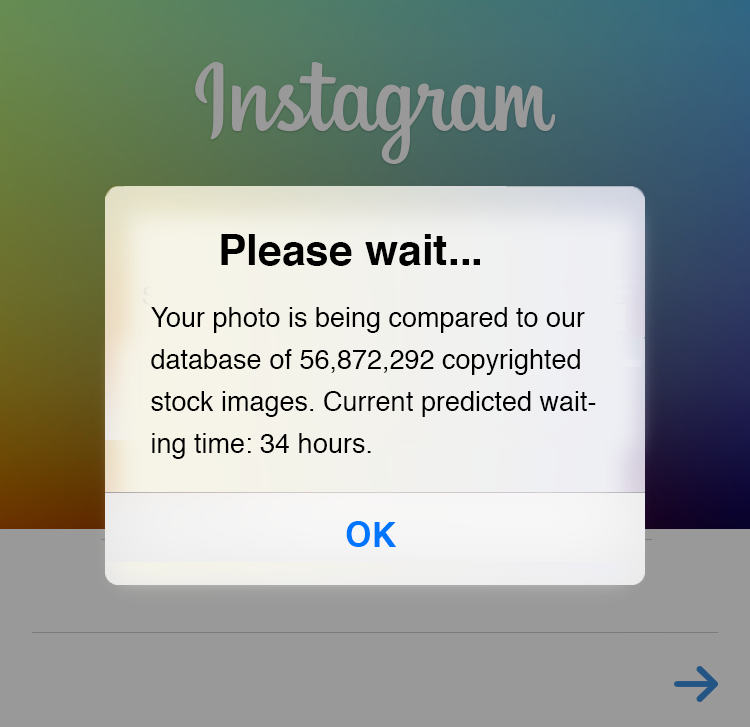 Error-prone upload filters will need to approve everything you want to post or upload to platforms like Instagram, YouTube, Snapchat, Facebook, Tumblr, WordPress.org, Wattpad, DeviantArt, SoundCloud, TikTok, Giphy etc. before it can appear online. This will mean delays and mistakes. 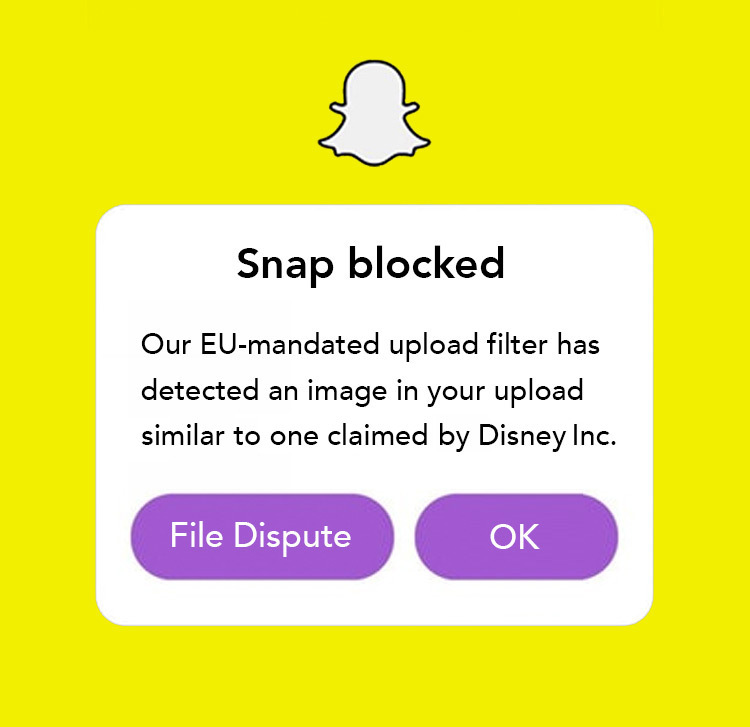 Upload filters will consider you “guilty until proven innocent”, guaranteeing that perfectly legal contributions will be withheld – especially parodies, memes and other creativity that builds on existing works. Trolls and other malicious actors will find it easy to abuse the filters to take down content they don’t like. Services you rely on will start geoblocking the EU if they can’t handle the liability. Freedom of expression limited as the internet turns from a place where contribution is welcomed to one where it must first pass scrutiny. Diversity lost as independent creators like YouTubers struggle to get and keep their creations online, while big corporations get direct access to feed upload filters blueprints of what to automatically zap. Web culture building on existing works, like reaction GIFs, lip-synchs and remixes will suffer. The censorship infrastructure established this way is sure to be expanded to other types of content. Already announced: Upload filters will need to look for terrorist material in the future – and that won’t be the last demand for an expansion. Innovation killed: This law guarantees there will never be a European alternative to the big social networks and sharing sites. The few US giants able to invest the giant sums required into upload filters will license them out to others and find their market dominance fortified. Council establishes upload filters explicitly as the only way to escape total liability for everything users do. In Parliament’s version, platforms need to implement them to have any hope of mitigating the liability – but the burden then remains regardless. The only true solution, licensing all copyright-protected works ever created, is obviously impossible. And not even that would necessarily allow a platform’s users to upload them (and works that build on them): The Parliament wants the rightholder to remain able to limit that further in the terms of the license. Even if rightholders refuse to grant licenses at all, the Parliament keeps platforms liable: With such a law in place, the internet would have never become more than another cable TV. The safeguards are fleshed out better in Parliament’s version, but it resorts to pure wishful thinking by hoping that voluntary industry dialogues will somehow figure out how to make upload filters never fail. The differences between these positions are minute: Both are attacks on the freedom to link and to spread the news. Services you rely on like news aggregators (Google News, Apple News, etc), search engines, fact checking sites, media monitoring services and others will no longer show extracts, raise their prices or generally become unavailable. If you create content on your own ad-supported website or on web platforms like YouTube (given Article 13), you can’t include extracts of news articles (such as screenshots) in your works. Copyright exceptions for quotation may cover some particular use cases in certain EU member states, but not in all, since they are not harmonised. Platforms would have to err on the side of caution. In Parliament’s version, a search engine would not even be able to save the titles of news articles in its index database (a “digital” use that is not “online”). The Parliament also wants to make absolutely sure news sources don’t offer their snippets for free (like they did in Germany when a similar law was introduced), effectively forcing them into a cartel. The different exceptions are all insufficient to cover today’s common practices. The Council’s version will lead to 28 different implementations – leaving internet platforms with no choice but following the strictest of them to reduce complexity. Axel Voss is on record expressing confusion that this paragraph made it into the Parliament position he championed – which is surprising, given that a colleague and I had raised it in the negotiations and tabled a vote to remove it, which he decided to vote (and instruct his political group to vote) “no” on. Are you, like me, happy with neither of the proposals? Do you fear that no matter whether Council or Parliament prevails, this law will cause massive damage to a free and open internet for no good reason? Our best bet right now is to increase pressure on the governments represented in Council, especially the Austrian presidency and the German delegation, to suggest last-minute fixes. Make it clear to them that harming our ability to post and link will have consequences for their parties in the May 2019 EU elections. Here’s a handy spreadsheet to look up how your representatives voted in the Parliament. Help keep up public attention throughout the trilogues: Reach out to local media, comment on the progress of the negotiations, make videos, share my posts, keep your friends informed. Nothing is set in stone just yet – but we need to step it up to defeat upload filters, the link tax and restrictions on sports fans. Or instead of helping them fixing this crazy law, we may also choose to watch them pushing their creature to life. And at this point the question will become whether it’s the one which will have enough force to throw total discredit on EU and kill it or will have to wait a little longer for a later creature. Unfortunately as seductive as the EU project has been, mustn’t we admit it is going havoc ; and this for intrinsic reasons. The further the leaders are from the peoples the faster they start decoupling their behaviour from reality. Along the last 20 years how many time have the peoples stand up to prevent a Frankenstein’s project ? Just to witness a sillier one popping out of their beloved leaders brains a few month later. One can fight gravity with an airplane. Yet since airplane relies on atmosphere to evolve, and atmosphere is a consecutive to gravity one can not beat gravity this way. A rocket is a better tool. In the same way, I feel mobilisation against our leaders fool’s plane isn’t the right tool. It will definitely not help achieving a better world. It’s kind of a Sisyph’s work. The stronger you push, the stronger the stone falls back. Would they loose here, they’ll start back unashamed a few month from now. Anyway, good luck to you Julia and everyone engaged in this fight for freedom and justice. You definitely deserve some gratefulness. Thanks for the info. Especially the overview of votes is very useful. It will be an important filter for the next elections! Can countries outside the EU get affected by this Directive, Julia? Any site applicable to these articles will have to implement the filters across the entire site, regardless of what country the viewer is in removed content will still be removed. Yes, but hopefully not drastically. So if a media outlet like RT or an other news outlet decides to make its lisence free or like 1 cent if mandatory by the EU. What would prevent us from being subject to massive propaganda and agenda pushing? If we are forcing all other media behind a paywall only those who’s main goal is pushing an agenda while being backed with money that isnt dependent on revenue from their news or media will be shared or read. How is it possible for the parliament and the comission to further this Kind of mass surveilance without any regard to established EUGH rulings. Didn’t the EUGH outright state that measures like upload filters are against the fundamental principles of the EU? I want to help, but most people I talk to about Article 11 and 13 are completely desinterrested when it comes to politics. – Scarlet Extended SA vs. SABAM, BEA Video, BEA Music & ISPA, from November 2011 [C-70/10]. My opinion is that we could recover around 40% of initial freedom.